In an interview with PREMIUM TIMES on Wednesday, a visibly distraught Yoko B said he realised that 2face released a similar song and video while he was yet to raise funds to shoot a video for his. An upcoming singer, Analike Okezie aka Yoko B, is insisting that music star, 2face’s latest track, “Amaka” is his. 2face released a pop tune titled, Amaka, on June 26. The tune features DMW’s Peruzzi. 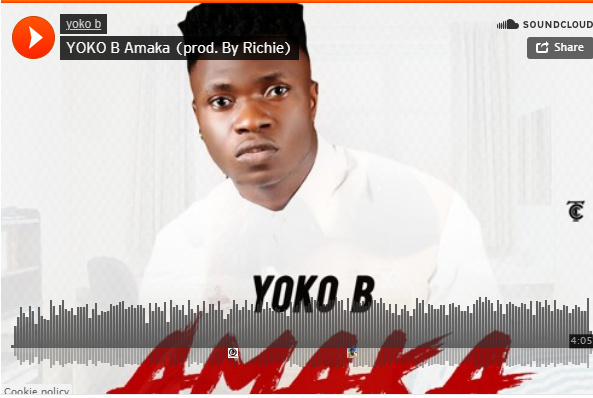 Like 2face, Yoko B’s version is also about how an “Amaka” broke his heart. Yoko B says his version was released in March. Both songs do not bear any similarities save for the title and theme. “Shortly after producing my song, Larry Gaga employed Richie and he left Festac Town for Lekki where he worked with 2baba. My songs were still on his computer at that point. I was shocked when I discovered that they had ‘stolen’ the title, concept and message of my song. Meanwhile repeated calls by this newspaper to 2face’s manager, Efe Omoregbe, was unanswered. Yoko B also told our correspondent that 2face’s lawyers have reached out to his team demanding an apology. “They (2face’s lawyers) are demanding for an Apology from us accusing us of trying to taint 2face’s name. Can you imagine? Am I not the one to request for an apology from them for manipulating our song and stealing our concept? Instead of getting us involved before recording theirs. That is pure wickedness and an inhuman act towards a fellow being. When this newspaper contacted Richie (the producer accused of leaking the song) a man who claimed to be his manager answered the call and declined to comment. Meanwhile, Yoko B remains surprisingly unfazed and has gone on to release the controversial song on iTunes and other music platforms.